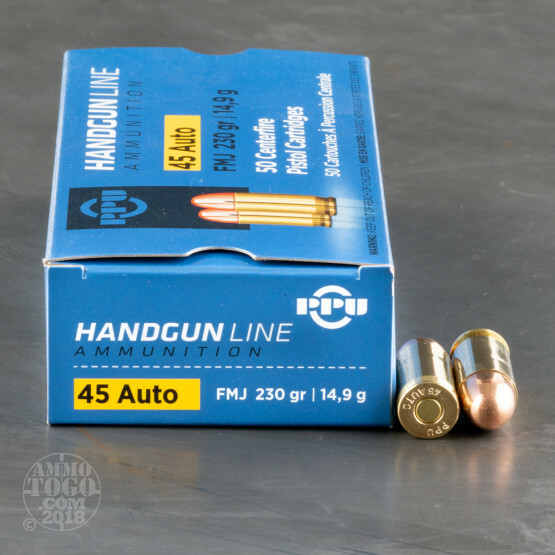 This package contains 50 rounds of Prvi Partizan (PPU) .45 ACP (Auto) ammunition. 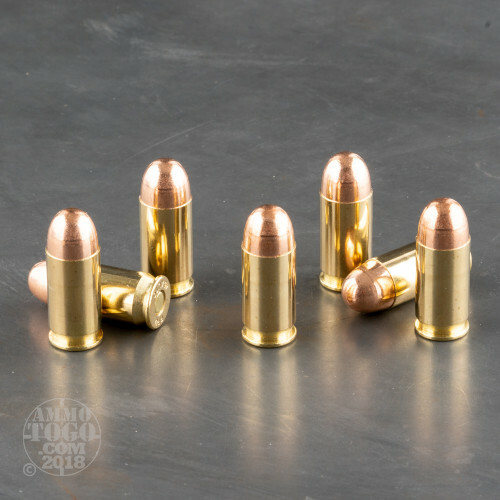 These factory fresh cartridges feature 230 grain full metal jacket (FMJ) projectiles. Leaving the muzzle at a velocity of 836 feet per second with 357 foot pounds of energy, these FMJs produce minimal terminal expansion. 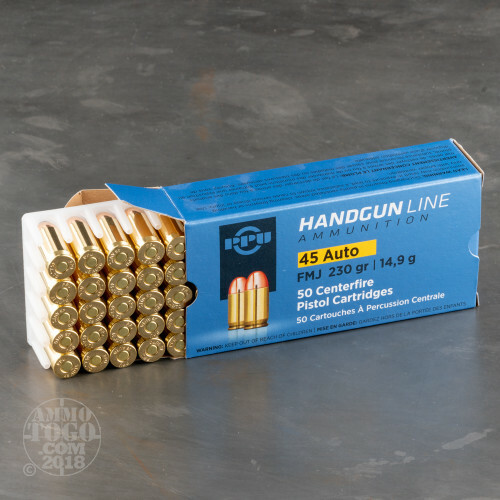 Non-corrosive and boxer primed, this ammunition features quality brass cases and is fully reloadable. 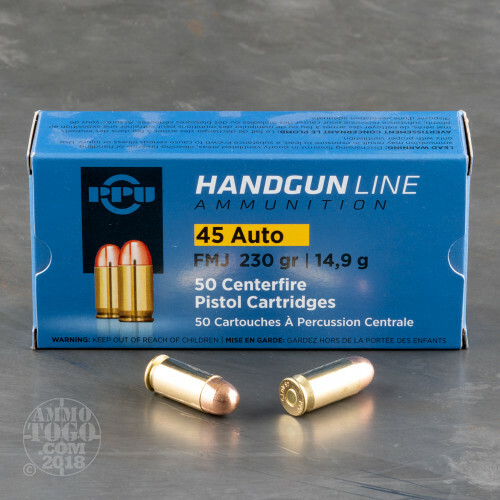 Each package contains 50 rounds of ammo suitable for target shooting, tactical training, or recreational plinking. Located in Užice, Serbia, Prvi Partizan is one of the largest modern ammunition manufacturers in the world. Supplying ammo for the Serbian military and police force since 1928, Prvi Partizan also produces high quality, affordable sporting, hunting, and self-defense loads for civilian shooters around the world. GOOD ALL AROUND AMMO. YES IT'S A LTTTLE ON THE DIRTY SIDE BUT NOT BAD AND WILL NOT TAKE MUCH TO CLEAN. ACCURACY IS GOOD AT LEAST WITH MY PISTOL. OH AND THE BRASS AIN'T BAD EITHER. I THINK IT'S A GOOD VALUE IF YOU SHOOT A LOT [PLUS OF COURSE YOU COULD GO TO WAR WITH THESE BULLETS AND THEY'LL DO THE JOB.